Big Soda took a loss on Election Day when voters in Berkeley, California approved a ballot measure that will place a small tax on sugary drinks. The measure, touted as Measure D, imposes a 1-cent-per-ounce general tax on sugar-sweetened beverages and sweeteners used to flavor drinks. It’s the first tax of its kind in the country. While soda can be fine in small increments, experts say that drinking large amounts can pose many health risks, including cancer, decline of the kidney, and metabolic syndrome, which increases the likelihood of cardiovascular diseases. In passing the soda tax, Berkeley has done what dozens of cities and states have unsuccessfully attempted: impose a measure that hopes to both reduce consumption and raise revenue. Supporters say that’s cause for celebration, predicting that the passage of Measure D could have a domino effect as public health advocates and lawmakers work to address America’s obesity epidemic in other areas of the country. Tuesday night’s victory also represents the culmination of a months-long battle during which the American Beverage Association raised more than $11 million to combat Measure D and Proposition E, a similar ballot measure in San Francisco that would divert revenue from taxes to nutrition and recreation programs in the San Francisco United School District. San Francisco’s measure failed. It’s not the first time that Big Soda has tried to undermine efforts to enact public health legislation. In 2010, for instance, the American Beverage Association stunted New York state officials’ efforts to levy a 1-cent-per-ounce tax on sugary drinks when it launched a marketing campaign under “New Yorkers Against Fair Taxes” that framed the tax as a as an assault on struggling lower and middle class families during uncertain economic times. Across the country, the ABA has helped defeat attempts to pass similar taxes in more than 30 municipalities. And especially as the nation has focused more on the role that diet plays in battling chronic diseases, beverage companies have increasingly tried to control the narrative about their products’ long–term health effects. Last year, Coca-Cola launched an ad campaign that stressed the company’s products had fewer calories than its competitors. In doing so, the company failed to highlight that sweetened beverages, regardless of the brand, can detrimental to one’s health if ingested profusely. 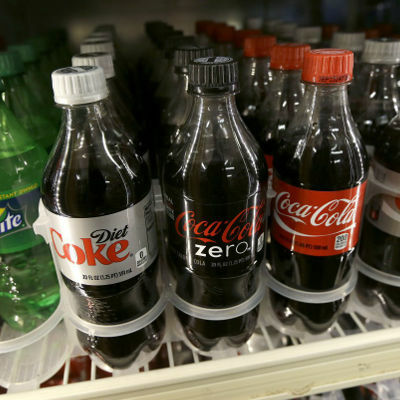 Tuesday’s win for public health advocates comes on the heels of recent failures to regulate the soda industry, since former New York City Mayor Michael Bloomberg (I) wasn’t able to make his proposed ban on large sugary drinks a reality. Earlier this year, the state’s highest court declined to reinstate the city’s soda ban, which would have forbidden restaurants from selling sugary drinks larger than 16 ounces. City officials and public health advocates saw the court decision as a major defeat in the former mayor’s efforts to combat obesity.